From Hollywood star to Princess of Monaco, Grace Kelly had it all. 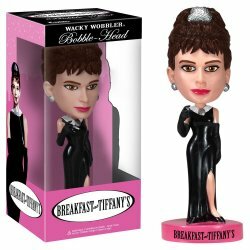 Now she can be all yours as she stands 6 inches tall wobbling adorably in her shimmering evening gown. The Princess of Monacco -- Grace Kelly. Golden Globe and Academy Award winner. 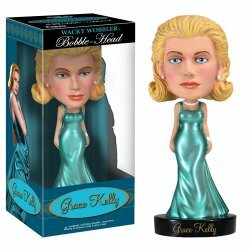 Grace Kelly is a royalty and elegance right before your eyes!